Call the Lillie Family Heating and Plumbing greater Vancouver company for any commercial plumbing, renovation, code violation, or plumbing emergency your business may experience. Commercial service is a big part of our Vancouver plumbers business. When you have a commercial plumbing emergency affecting your business or property, we know it is essential to get there fast and solve the problem in a prompt, efficient manner so you can get your business back on track. 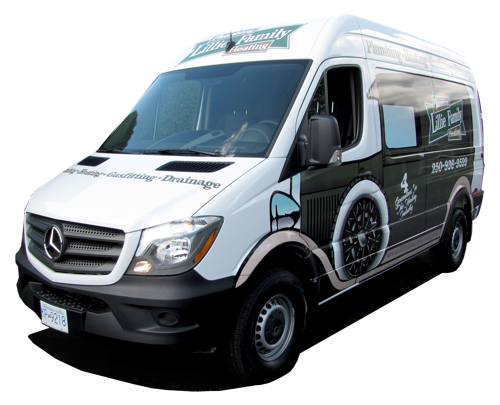 We have provided friendly service to commercial customers in the Vancouver area for over four generations. Our equipment, manpower, and expertise are the tools we use to get your commercial plumbing problems remedied with the least interruption to you and your customers day. Our plumbers and gas fitters guarantee their work and offer honest advice. We are a registered “A” Gas and “A” Boiler service contractor with the BC Safety Authority and with the expertise to support all of your heating needs. Hugh Lillie can proudly say that he has passed on his knowledge of the trade to some of the top service and installation technicians currently working as owners and employees of many of the top companies throughout the lower mainland. Now, Hugh Lillie has an opportunity that few people get to experience in their careers. He has partnered with his nephew, Jack Lillie’s grandson, Grant Russell. Together, Hugh and Grant have formed “Lillie Family Heating and Plumbing Company“. Four Generations in the HVAC Industry!